New immunotherapies offer many cancer patients a better chance at survival, but some cancers are notoriously resistant to these targeted treatments. 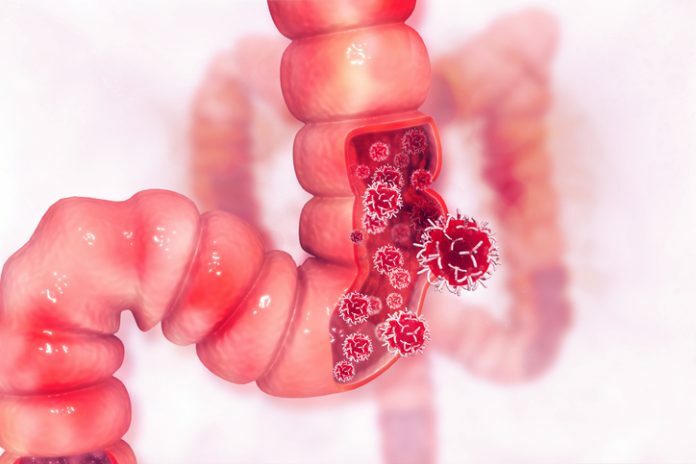 In particular, colorectal cancers (CRC) are challenging to treat because of common KRAS mutations, which drive aggressive, treatment resistant and metastatic forms of disease. Now researchers at the University of Texas MD Anderson Cancer Center reveal how KRAS mutations alter immune signaling pathways in these aggressive tumors, offering new strategies to correct the imbalance and restore susceptibility to immunotherapy treatments. The study, published in Cancer Cell on March 21, provides new hope to patients with colorectal cancers, who face 5-year survival rates of only 12%. One of the most promising new immunotherapies is immune checkpoint blockade (ICB) therapy, which targets immune pathways to block cancer’s ability to evade the immune system. Yet despite its great promise, ICB has fallen short against many forms of aggressive disease. “ICB therapy has provided clinical benefit to some patients with advance cancer, including those with melanoma, non-small cell lung cancer, and renal carcinoma. But the majority of colorectal cancer patients do not respond to immune checkpoint blockade(ICB) therapy, motivating the need to study mechanisms and combination regimens with targeted therapies and ICB,” says lead author Ronald A. DePinho, M.D., professor of Cancer Biology. DePinho and his team use a mouse model of colorectal cancer to probe the molecular mechanisms of ICB resistance, discovering that KRAS mutation alters the immune signaling pathway targeted by this treatment. “Our study established an essential role for KRAS in modulating immune microenvironment and primary ICB resistance in advanced colorectal cancer.” With KRAS mutations present in 35%-50% of human colorectal cancers, this is a significant contributor in clinical context. Specifically, the researchers find that KRAS mutations suppresses the immune modulator IRF2 (interferon regulatory factor 2), which influences the downstream factor CXCL3. CXCL3 is abnormally high in these cancers, triggering immune suppression that allows the tumor to evade immune recognition. The researchers correct this immune signaling imbalance, and restore susceptibility to ICB treatment, using drugs and other molecular approaches to target the IRF2-CXCL3 axis. Mice that received these corrective treatments showed increased T-cell infiltration of tumors and decreased cancer cell numbers. For instance, by testing IRF2 levels, doctors could identify patients without immunotherapy resistant disease, who would likely respond to ICB treatment alone. “IRF2 expression may serve as a valuable ICB response biomarker in CRC,” says DePinho. Meanwhile, patients who test positive for the IRF2 resistance biomarker could be selected for combination therapies. Indeed, such combination therapies are already in phase I clinical trials against ICB-resistant melanoma, where ICB treatment is combined with the small molecule SX-682, which targets the CXCL axis. The same combination has already proven effective against resistant disease in mouse models of prostate cancer.